A column in the Washington Post this week argues that American spin classes are filled with too many white and thin participants. Stanley was interviewed as a part of Washington Post columnist Lavanya Ramanathan’s recent piece entitled “Is your spin class too young, too thin and too white?” which focuses on the lack of diversity in American spin classes. For the uninitiated, spinning refers to group indoor cycling, which takes place on stationary bicycles. 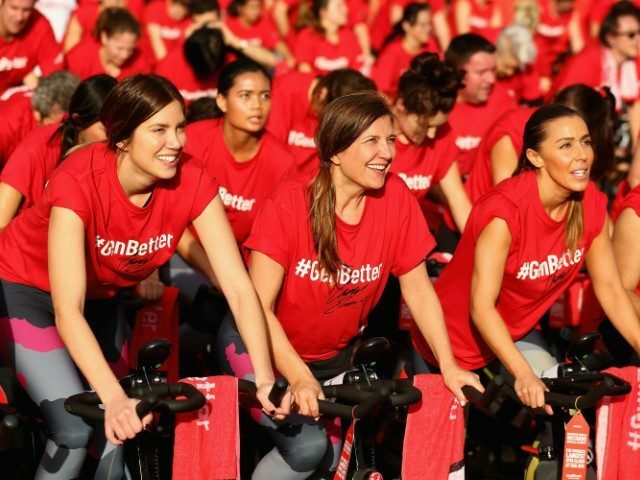 Companies like Soul Cycle have brought their take on spin classes to various states around the country. Although spin classes are more popular than ever, a select few think that the indoor cycling craze has lead to the development of an insidious white space where minorities feel unwelcome. “Sweat through a class in one of these studios and it’s very possible that you’ll see it, too: many, many lithe young white bodies and very few people of color. Or older or heavier exercisers,” Ramanathan wrote. Ramanathan interviewed several non-white spin class attendees. Christina Rice, a New Yorker, explained how horrified she was to learn she’d be attending a hot yoga teacher training event with a group of mostly white people. It’s not just race that has Ramanathan concerned. Todd Miller, the director of George Washington University’s Weight Management and Human Performance Laboratory, argues that spin classes advertised as extra challenging may cause overweight people to feel unwelcome. “If you’re trying to get a select group of people by saying ‘This workout is really hard,’ you’re sending a message to unfit people — who really need exercise. ‘Don’t come here, because you’re not wanted.’ You’re making it unappealing to the people who need it the most,” Miller told Ramanathan. On the other hand, suggesting unfit people attempt the most challenging spin classes is the equivalent of suggesting a novice skier try a black diamond slope before becoming proficient on the bunny hill.